PARKING LIMITED. CARPOOL if possible! Come early in case you need shuttled. Save $$$ with Early Registration! Custom designed Dam Run Shirt, Bib, Timing Chip, Food & Drinks, Medal, Huggie & Water Bottle. To guarantee SWAG, register by MARCH 15, 2019! 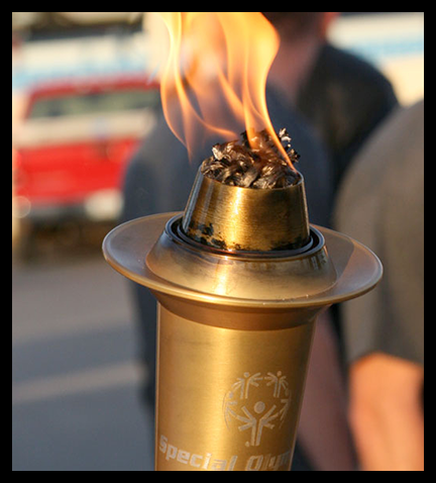 Approximately 3,000 officers representing every branch of law enforcement across the state will carry the Flame of Hope nearly 1,500 miles, running through Illinois communities via 23 different legs (routes) to its final destination, the Opening Ceremonies of the Special Olympics Illinois Summer Games in June in Normal.